Martin Schulz was elected leader of the German Social-Democratic Party (SPD) on Sunday (19 March) in his campaign to dethrone Angela Merkel in September. "I want to be the next chancellor of the Federal Republic of Germany," he told a party congress in Berlin after securing an unprecedented election win with 100-percent of party delegates' votes. "SPD is back. We are back," he said. He said he wanted the SPD to become "the strongest political force" to make Germany "better and fairer, and give the people the respect they deserve". 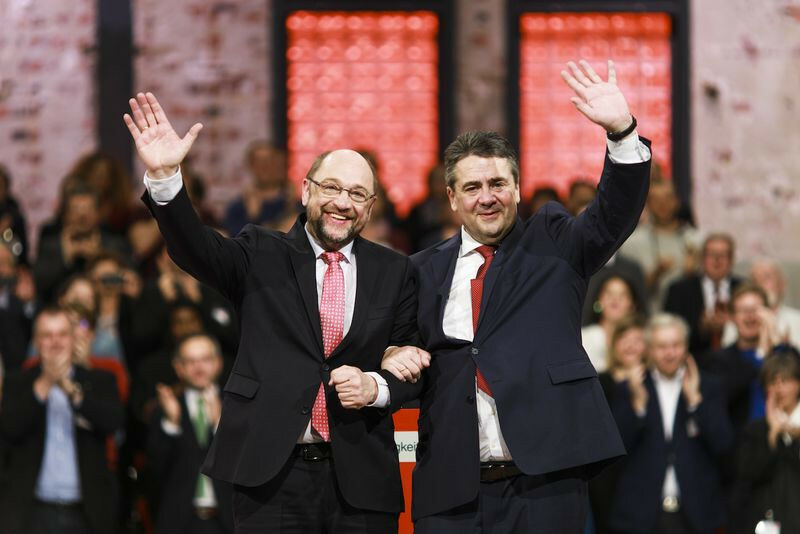 Schulz, 61, took over from Sigmar Gabriel as SPD leader after becoming the party's candidate in January. Gabriel, the vice-chancellor in a grand coalition government with Christian-Democrat Angela Merkel, had been trailing in opinion polls. But a survey published over the weekend showed that the SPD is now closely behind Merkel's CDU, at 32 percent against 33 percent - 15 percentage points more than in January. Schulz, whose slogan is "time for justice," said he wanted to improve the education system, increase public investment in schools and nurseries, and reduce the "intolerable pay gap" between the eastern and western parts of Germany. "If we don't ensure that things are socially equitable, then no one will," he said, adding that an SPD win in the 24 September elections would be "good news for the people of Germany and Europe". 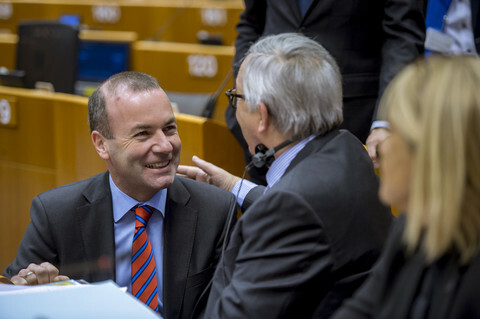 The Social-Democratic candidate, who was president of the European Parliament until January, said that with him, "there will be no Europe-bashing". "Those who want to do away with the EU will find in me an energetic opponent," he said. "Anyone who thinks that you can separate national interests from Europe is wasting away the future of Germany." 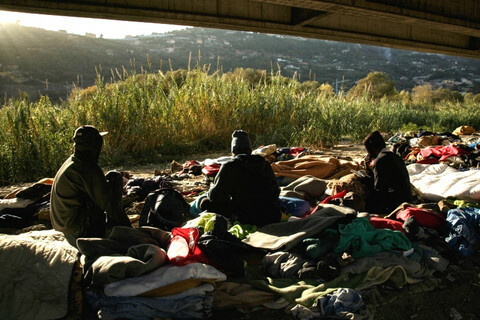 Attacking the anti-EU and anti-migrant Alternative for Germany (AfD) party, he said that AfD was "not an alternative" but a "shame" for the country. 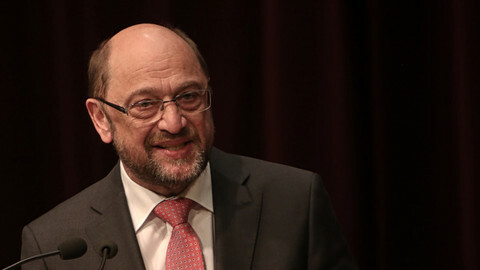 Schulz refrained from attacking Merkel directly but said that her party's fiscal plans were "extremely unfair … economically unreasonable and dividing our society". 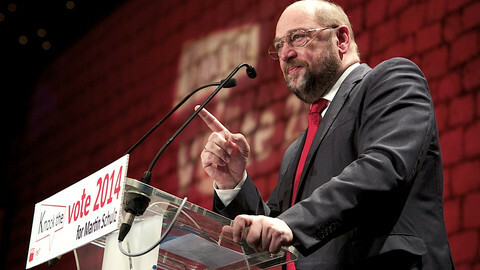 The new SPD leader stressed the need for more social justice, but his election would not mark a big shift to the left. The party even indicated a break with its traditional alliance with France's Socialist Party (PS). In an address to the party congress before Schulz's speech, Gabriel instead expressed support for Emmanuel Macron, a centrist candidate for the French presidency, and not for PS candidate Benoit Hamon. "Imagine that Emmanuel Macron becomes president in France, and Martin [Schulz] chancellor. 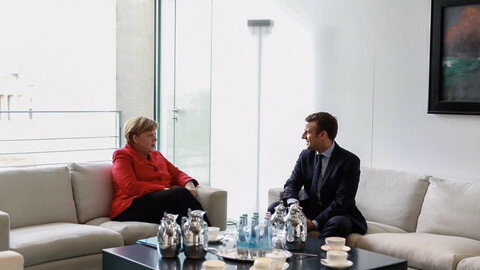 [Imagine] All the things we'll be able to change," said Gabiel, who last week participated in a debate with Macron in Berlin. Hamon, who was elected party candidate in a primary election, represents the left wing of the PS. In a meeting in Paris on Sunday, he chose Macron as his main target. "I don't have the ambition to become the CEO of the 'France' site, but to become president of the Republic, to serve exclusively French men and women," he said, referring to Macron's pro-business ideas and to his former job as a banker. He said that "the money party" had too many candidates in the election. "The money party has several names, several faces," he said, referring to Macron as well as conservative candidate Francois Fillon, and to far-right leader Marine Le Pen. In an unexpected move, SPD leader Gabriel stepped aside for the more popular Schulz, but polls still put Merkel way out in front. The independent liberal candidate to the presidential election said in Berlin that France must reform itself if it wants to remain close to Germany and play a role in Europe. 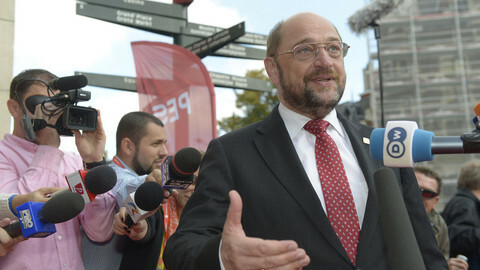 The SPD leader wants to convince his party delegates to join Merkel and form a coalition government to revive Europe. 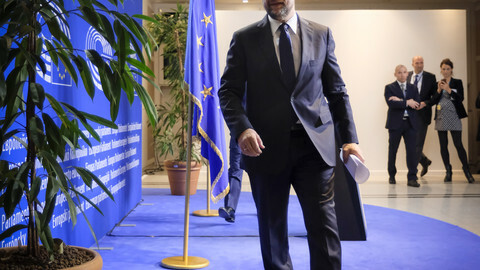 A preliminary inquiry into allegations of irregularities by Martin Schulz during his time as EU parliament president has been dropped. Former EU parliament leader, Martin Schulz, says the defeat of his social-democrats in North Rhine-Westphalia is "difficult". The elections showed that a "Schulz effect" does not (yet) exist. All across Europe, social democratic parties are struggling to stay relevant, leading to a crisis in one of the continent's oldest political ideologies. An overview of the data behind the current situation. 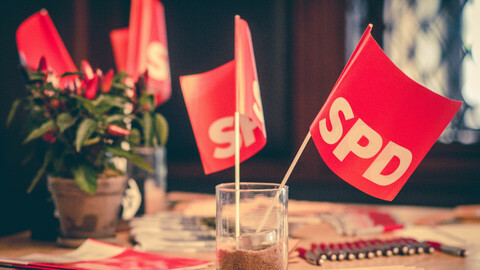 The Spitzenkandidat system has become an instrument of the promotion of MEPs (often German), and was supposed to make Europe more democratic. Reality has revealed the opposite.